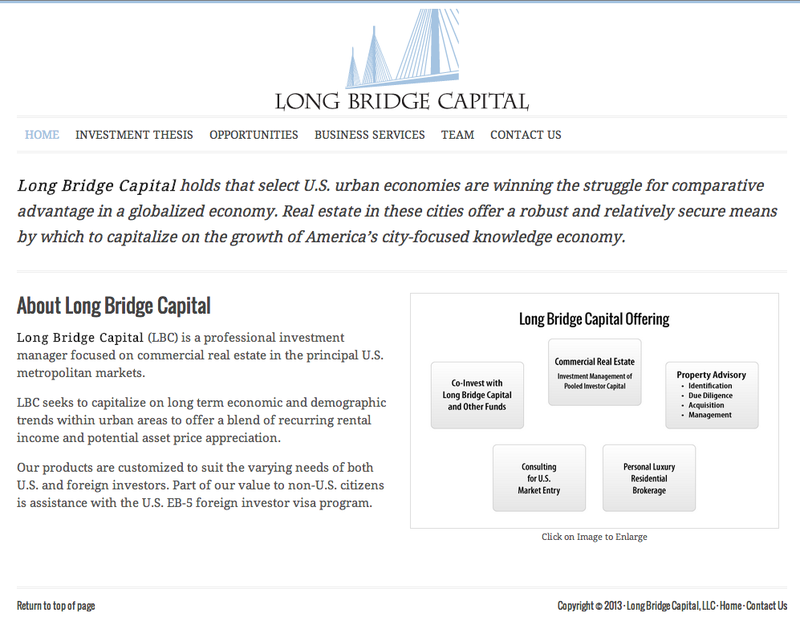 Long Bridge Capital is a real estate investment management company in New York that needed a simple, conservative & clean website to support their new business. We customized a child theme for the Genesis Framework to keep there site simple & functional. We have also supported them with some traditional print services including brochure, powerpoint presentation & business cards. For us it is about creating long term relationships with our clients that help them take their mind off of marketing so they can focus on building their business.